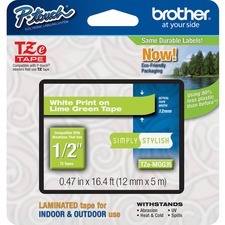 The Brother TZeS641 laminated tape cartridge is two times stronger than standard adhesive. Ideal for rough, textured, painted and other difficult to stick surfaces. 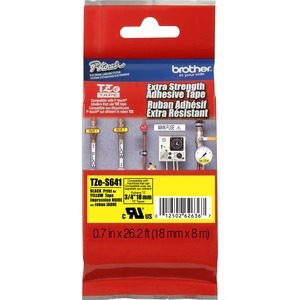 Designed for use with Brother PT-18R, 300, 300B, 310, 310B, 320, 330, 340, 350, 520, 530, 540, 550, 580C, 1300, 1400, 1500PC, 1600, 1650, 1700, 1750, 1800, 1810, 1830, 1900, 1910, 1950, 1960, 2200 and 2210.